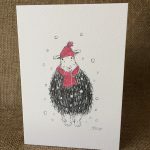 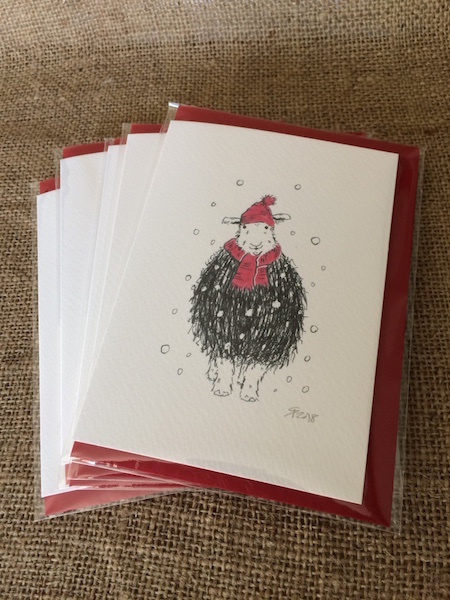 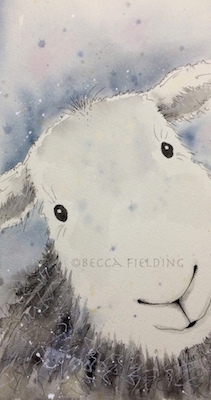 A pack of five Christmas Herdwick cards, taken from my original pen and ink drawing (five cards of the same design). 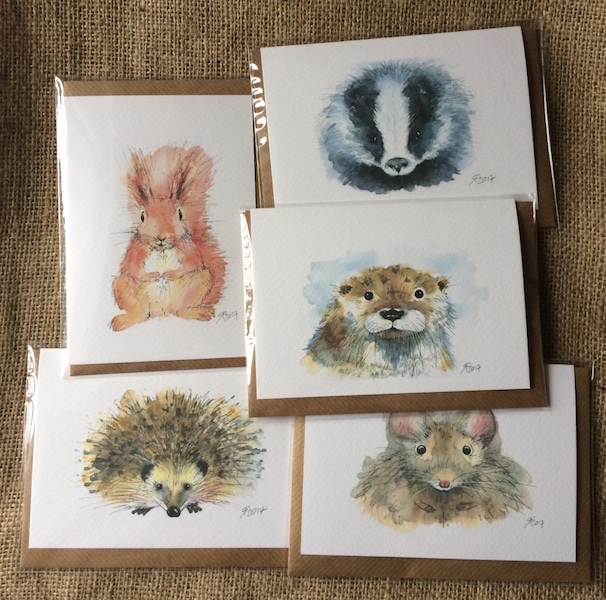 Each card is printed on watercolour card and is blank inside for your own message. 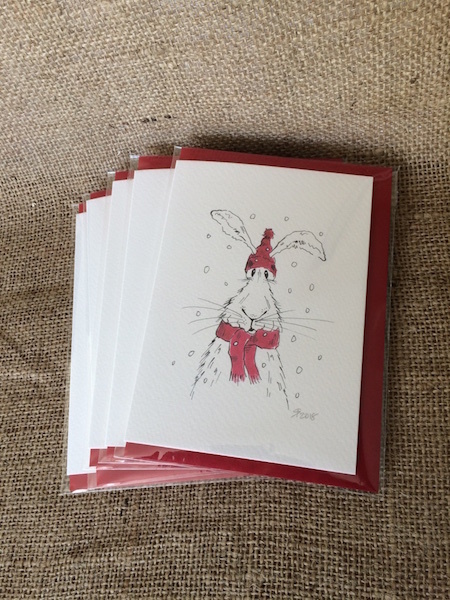 Supplied inside a clear cello bag with a crimson envelope. 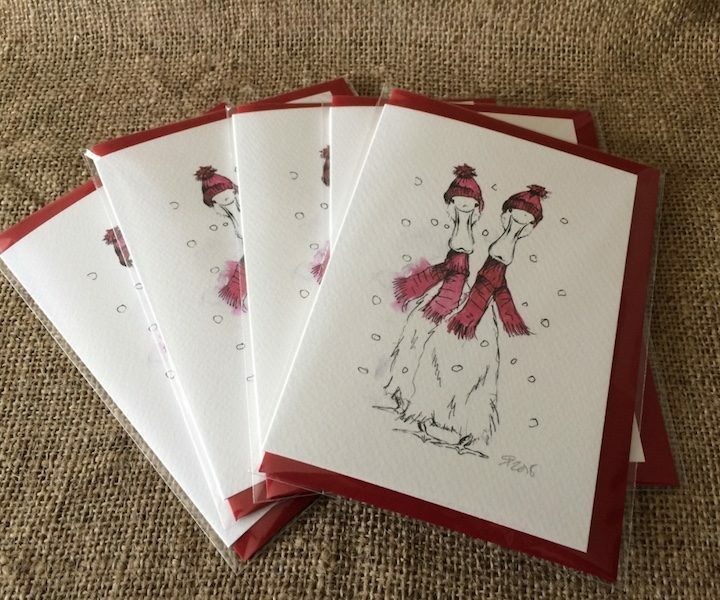 They each measure 10.5cm x 14.5cm (C6 size). 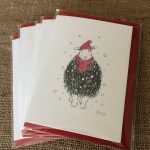 Category: Cards. 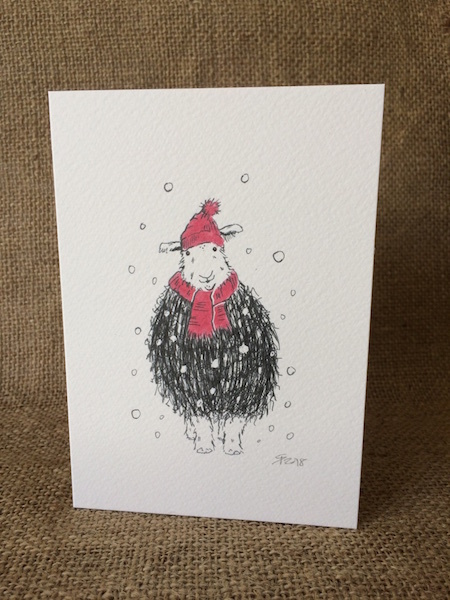 Tags: christmas card, Herdwick, sheep.